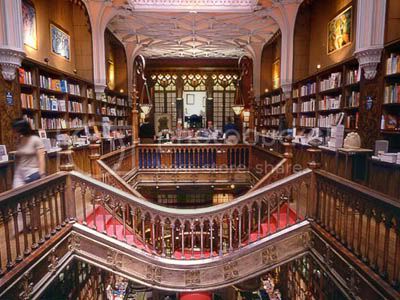 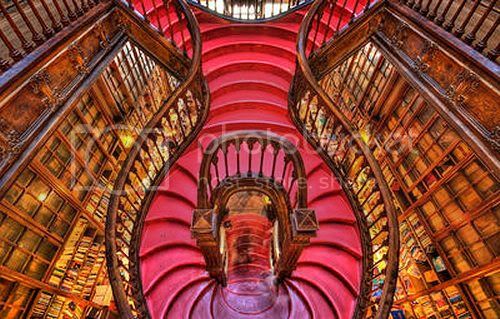 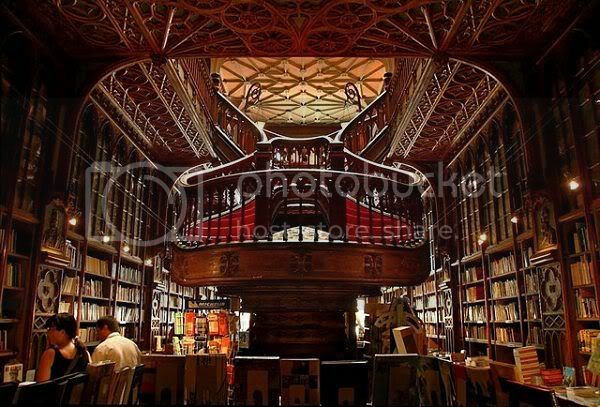 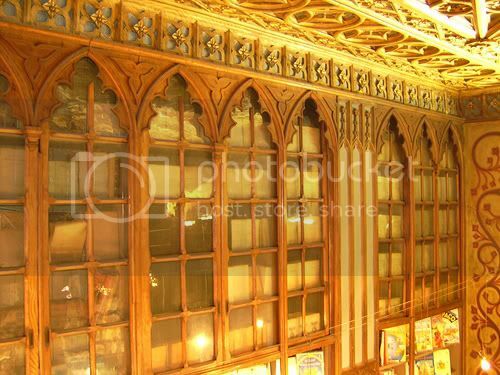 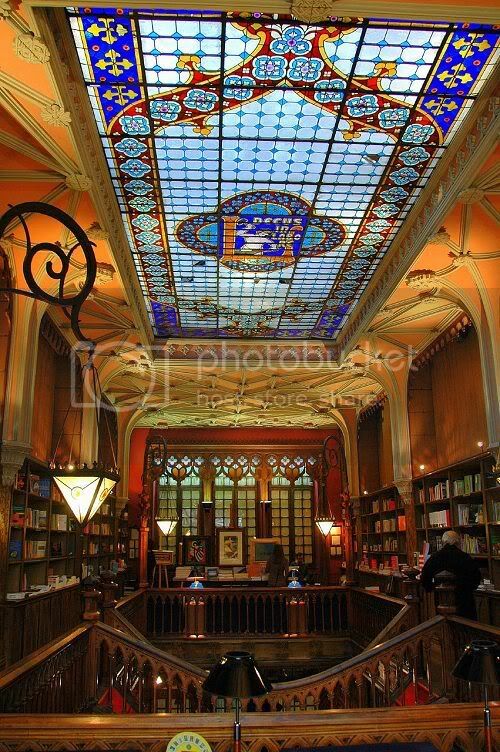 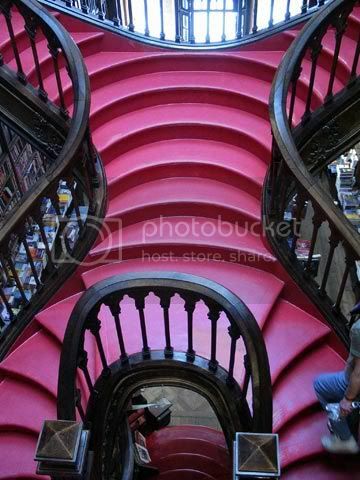 Livraria Lello was built to be a bookstore in 1881. 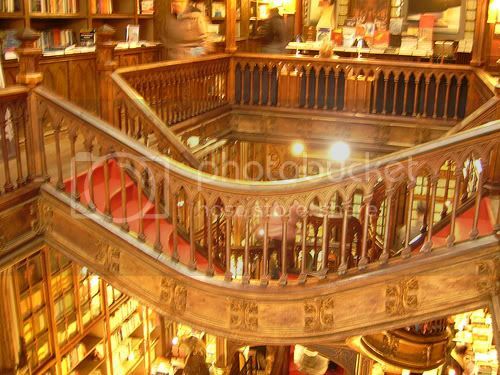 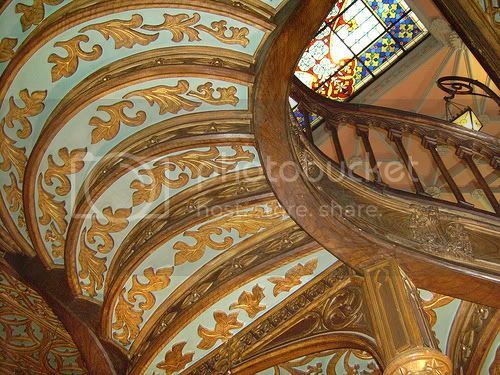 It has nice wooden stairs in the center, which lead readers to the top of the building. 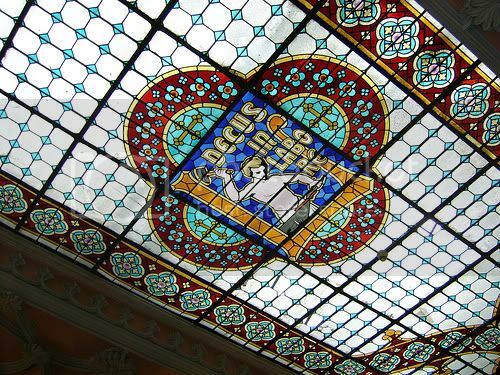 The roof is made of glass, allowing readers to look up at the sky in a 360-degree view.